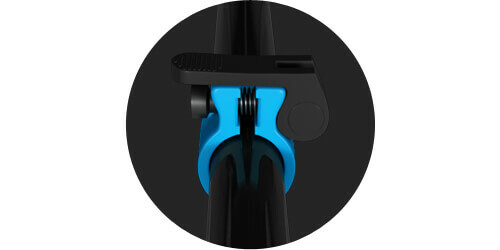 Featuring an entirely new angle crank made from stiffer polycarbonate ABS plastic, the new patent pending angle crank design benefits from spring assisted quick release clamping and an internal water feed. 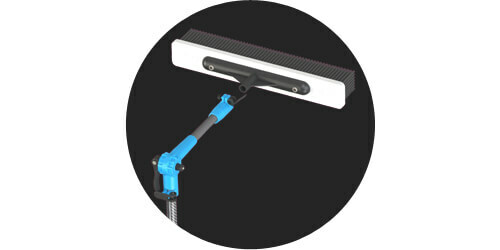 Transverse clamp built into the carbon gooseneck allows the brush head to be removed, rotated and re-clamped quickly. 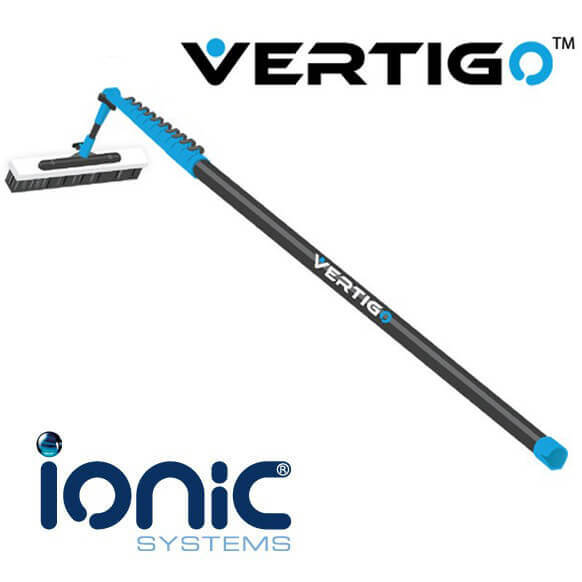 This allows the operator to use the brush head in the vertical plane, a useful feature for a variety of cleaning situations. 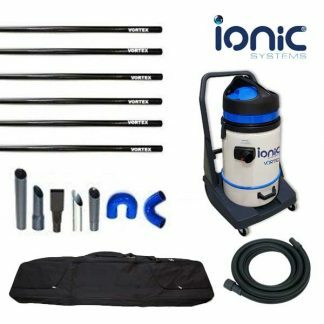 Combined with wear resistant telescopic tubes, Ionic’s new patent pending spring assisted pole clamp ensures smooth action whilst minimising wear in the pole sections. 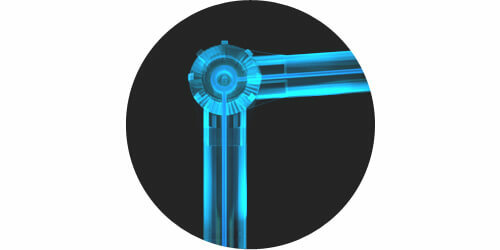 While other designs ensure that poles remain clamped as the section wears, our focus was to engineer out factors that contribute to pole tube wear in the first place. 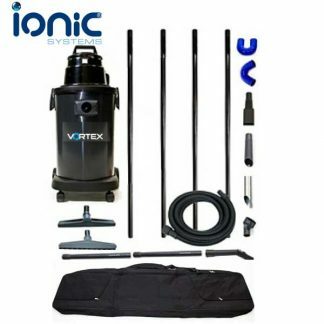 In doing so Ionic’s new poles last considerably longer, retain their performance and save you money over time. Gone are the ugly water tubes and connectors that stick out at the top of the pole. 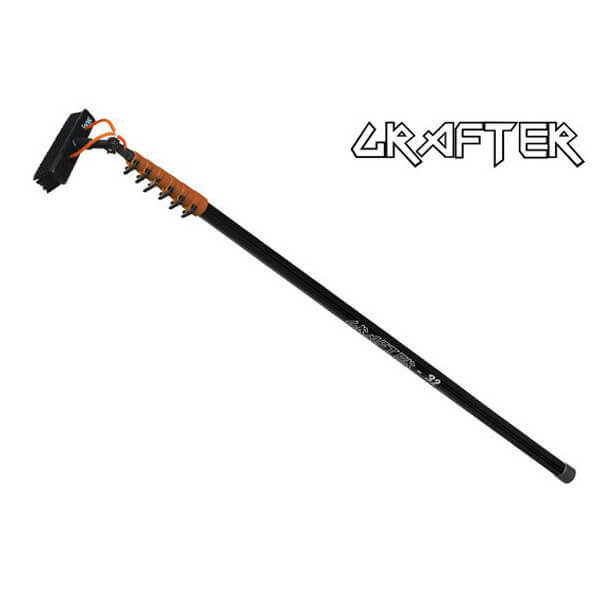 Its goodbye to snagging in trees, bushes and parts of the building and its goodbye to associated leaks. 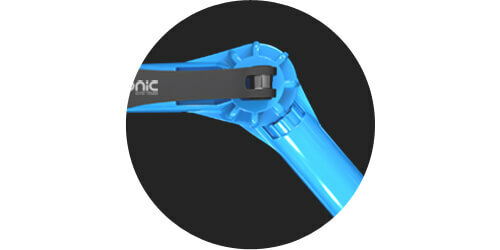 Our new patented design carries the water through the angle crank directly to the new quick release brush-head design.